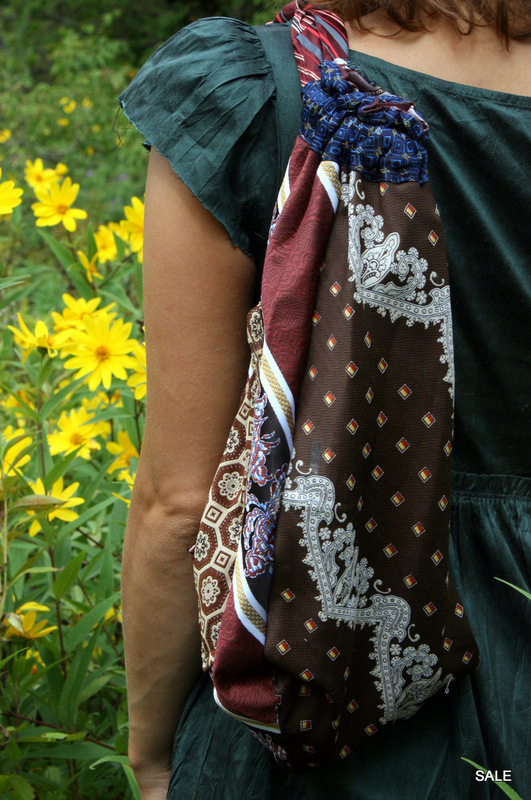 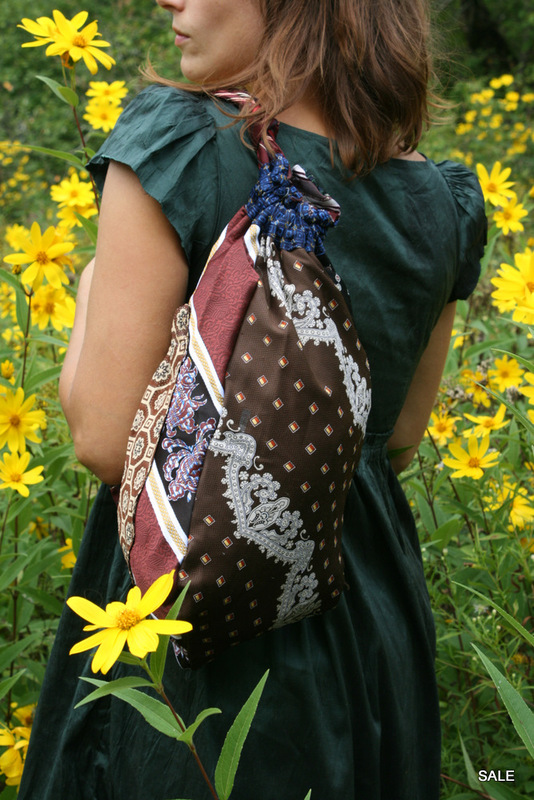 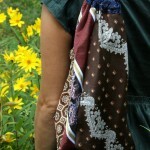 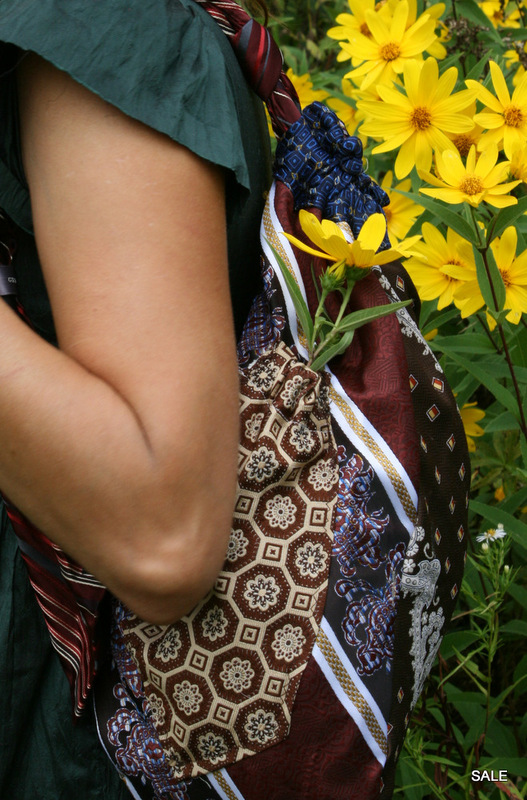 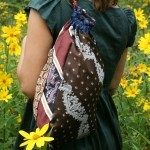 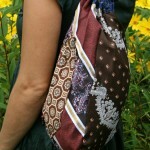 This bag is made from three vintage neckties, they come together at the bottom in an elegant point. 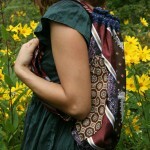 It has a pocket on the side to hold something long like pencils, paintbrushes, or flowers. 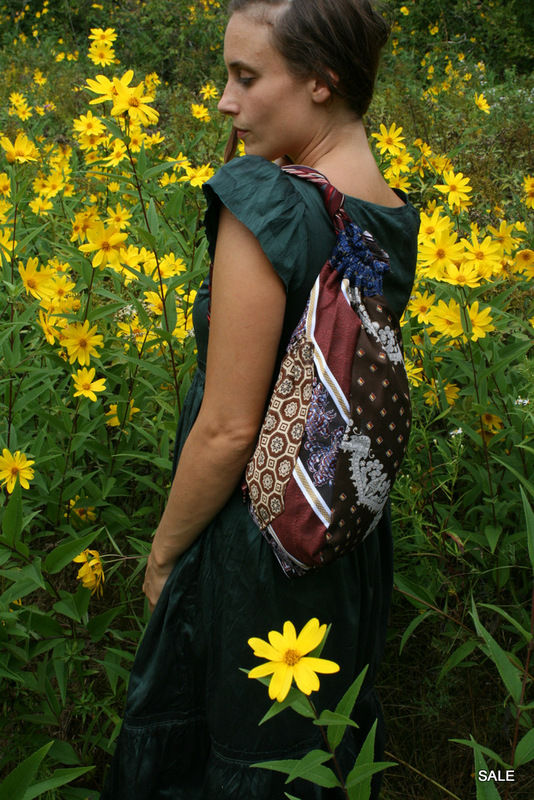 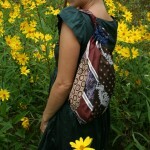 The inside is lined with swirly silver fabric and the drawstring top is pulled shut by the necktie shoulder strap. 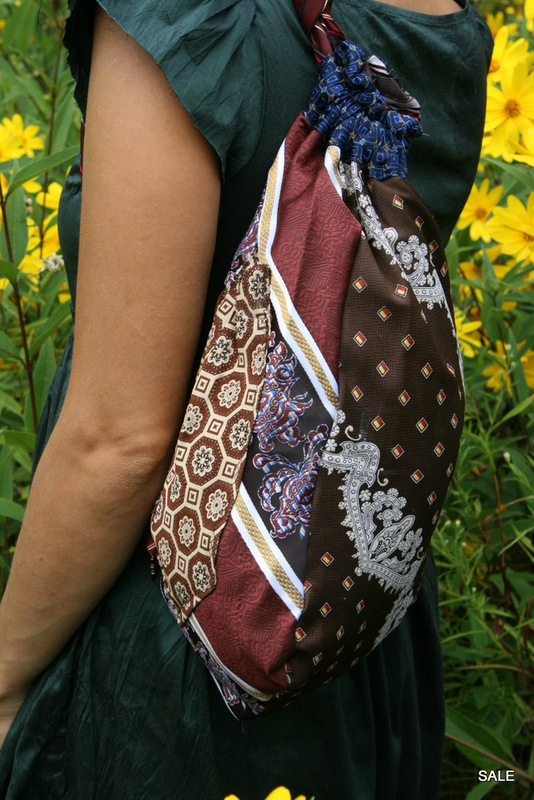 I would be glad to make one like this custom for you if there are changes you would like made to the design, please convo me directly.